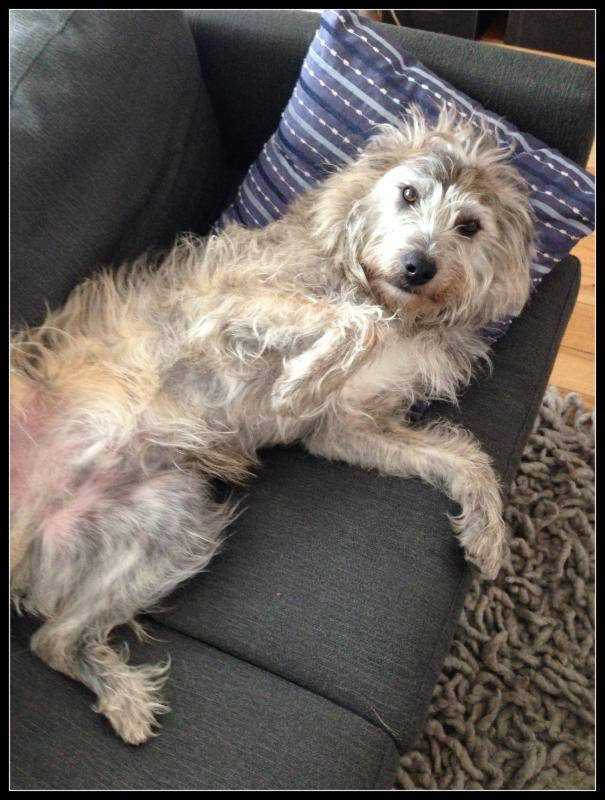 Meet South Loop’s Best-Named Dog, Mr. Scruffy! Yeah, we’re pretty much thinking the same thing…Scruffy is the perfect name for this pooch! 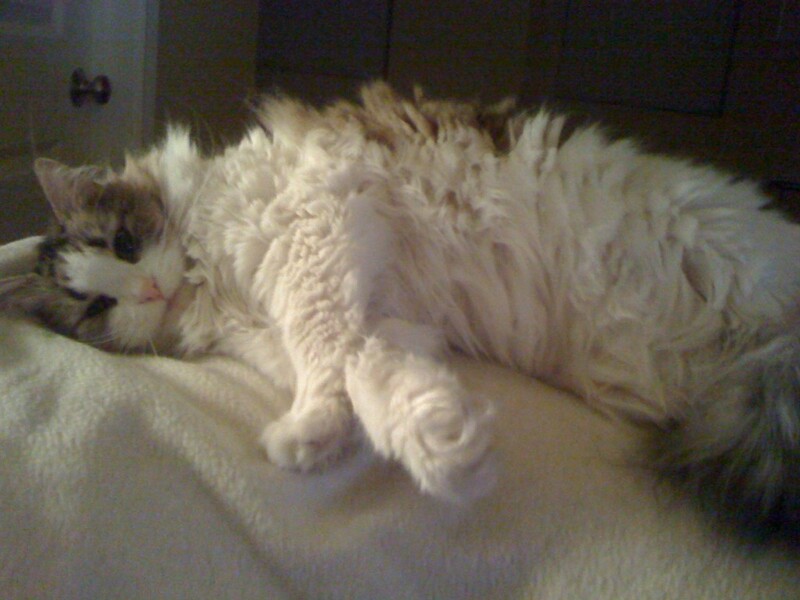 We are always greeted with a belly for rubbing, too, and usually a smile. His visits are so relaxing that you can’t help but enjoy every minute of them! 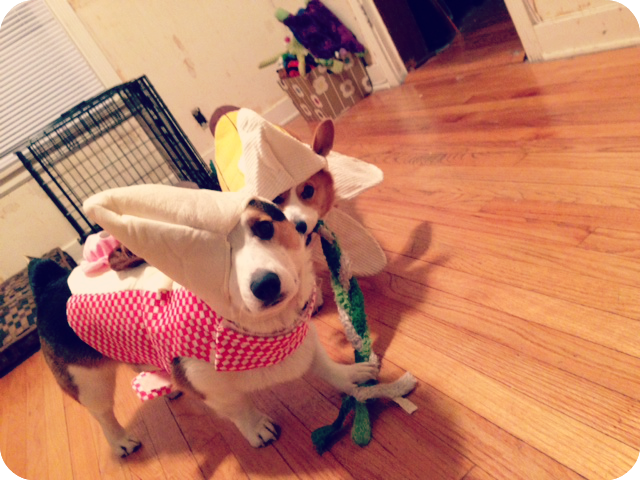 This entry was posted in South Loop Scoop and tagged Best of, dog names, South Loop on May 28, 2014 by Laura Rumage. 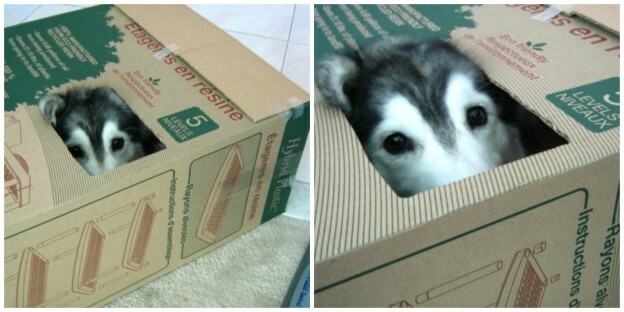 Sometimes we become products of our environments, picking up behaviors here and habits there, but we’ve never seen anything quite like Tally the Husky mix. 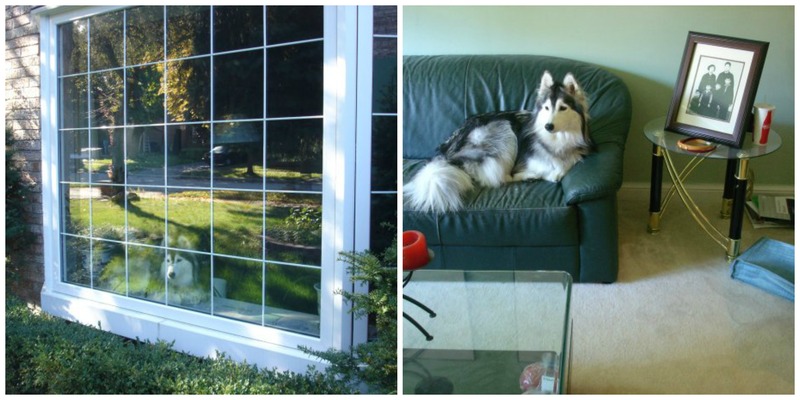 This dog, who is definitely a dog, believes she is a cat! 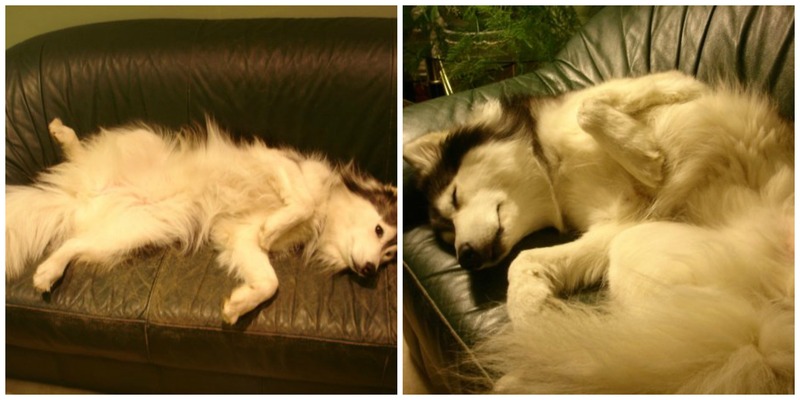 It is almost as though Tally has forgotten how to dog entirely, having been raised with only feline siblings. Here is my entire belly, but don’t even think about it. Yep. Tally definitely forgot how to dog. 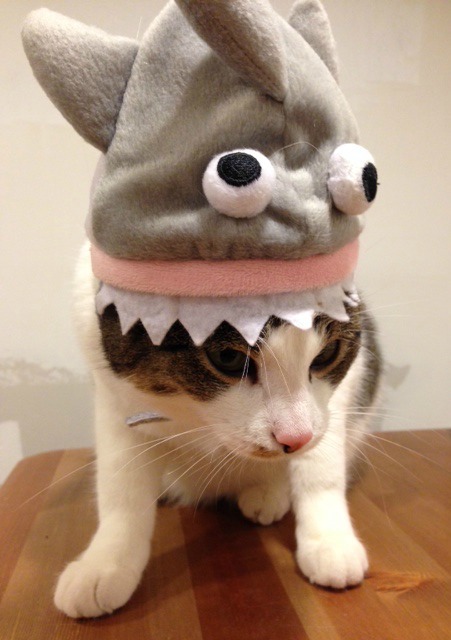 This entry was posted in Best of and tagged behavior, Best of, cats, dog, funny on May 23, 2014 by Laura Rumage. 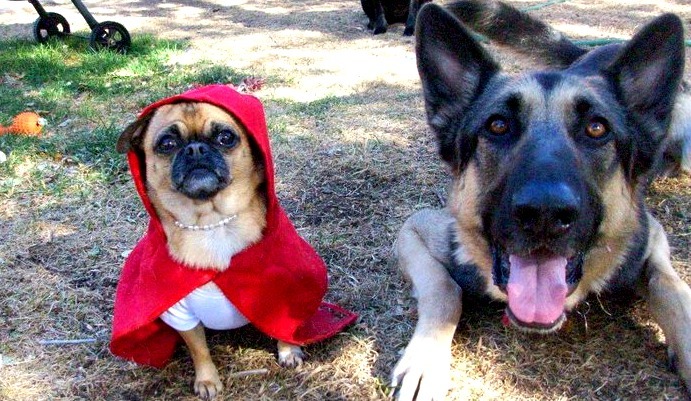 Meet a few of our Chicago and Oak Park pet pals who are donning their best dog Halloween costumes in the spirit of the spooky! 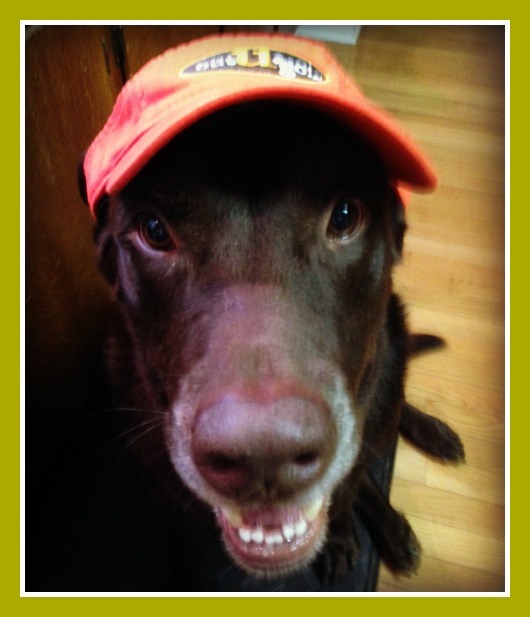 This is Otis, Pack Leader Nicolette’s pup! 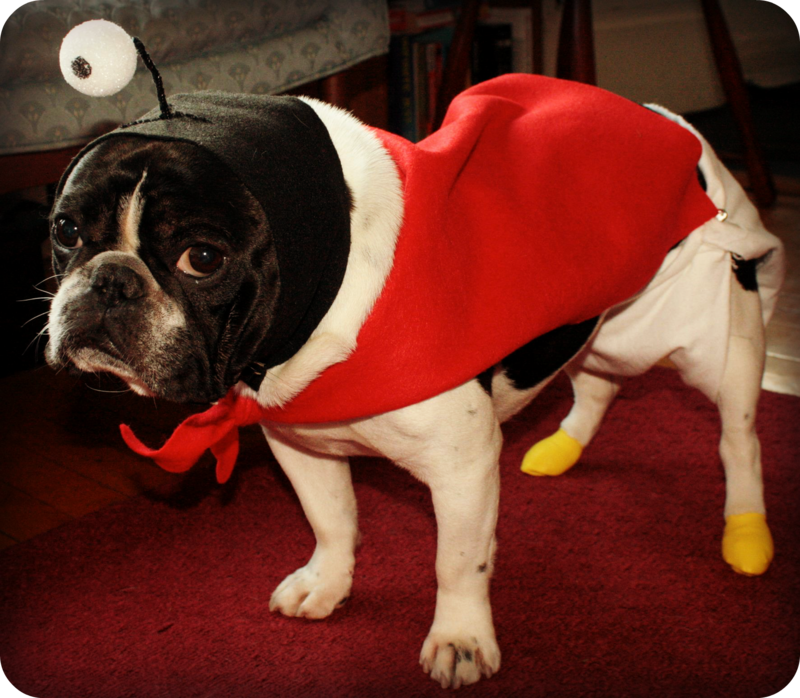 Here Otis is dressed as his favorite Futurama character, Nibbler. Otis and Nibbler share not only a striking resemblance, but also personality traits as well. They both like to eat a lot of food (and will chow down on just about anything), they like to sleep, and their favorite thing to do (other than eating, of course) is to cuddle with Mom. 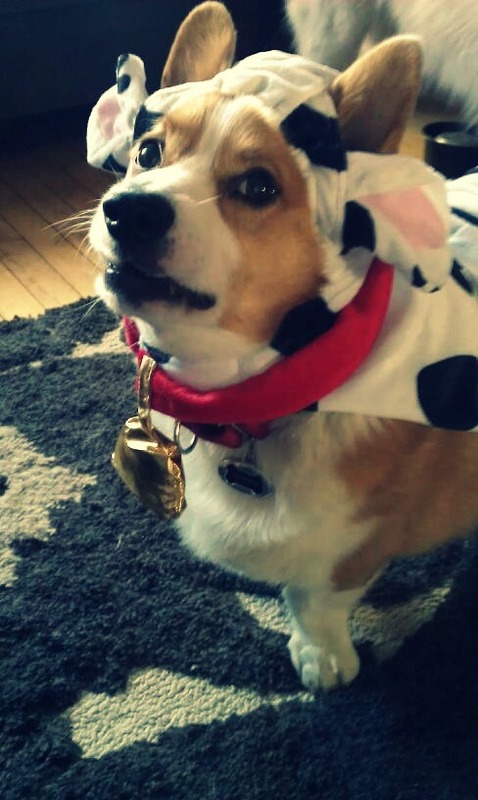 While Otis was not as accustomed to wearing a diaper like Nibbler is, he was a good sport and showed only a mild disdain for the costume. 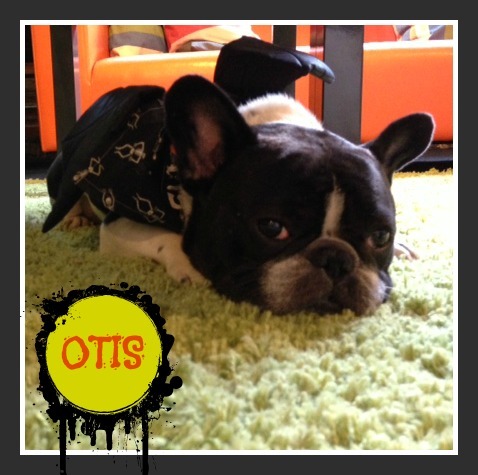 Here, Otis proves that being a superhero is exhausting. After a morning filled with getting chin scratches for looking too cute in his bat wings, he takes a snooze under the coffee table at OUG! Central. Surely, he is dreaming about flying around outside to scare all of the squirrels out of his trees! 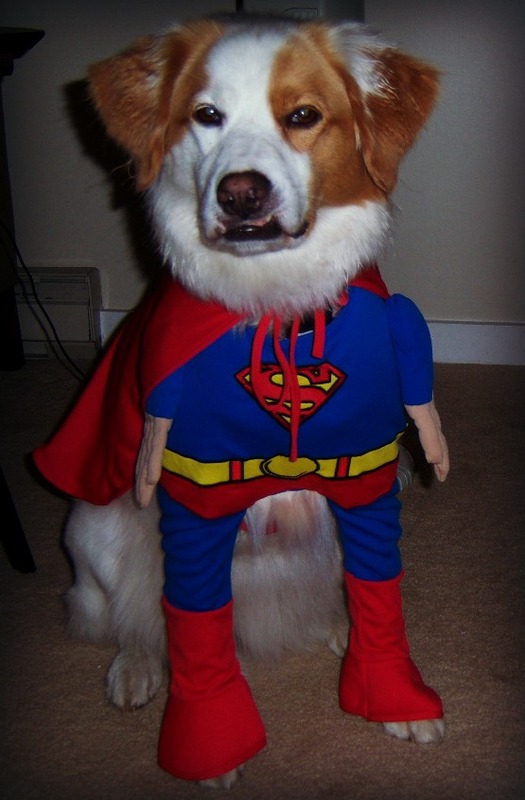 Bat doggie to the rescue! Vern is General Manager Sara’s two year old Terrier mix that LOVES food and has a history of thievery here at the OUG! office. 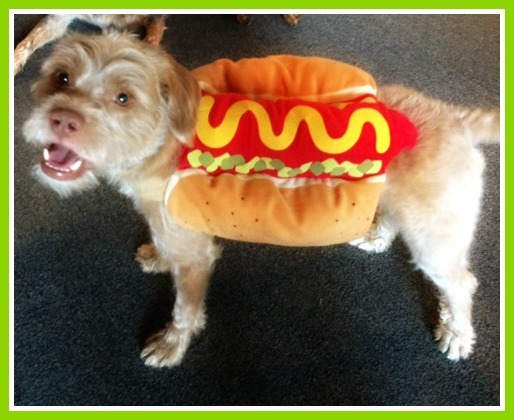 So when Executive Canine Strategist Laura saw this Hot Dog costume she just knew she had to bring it in for Vern! 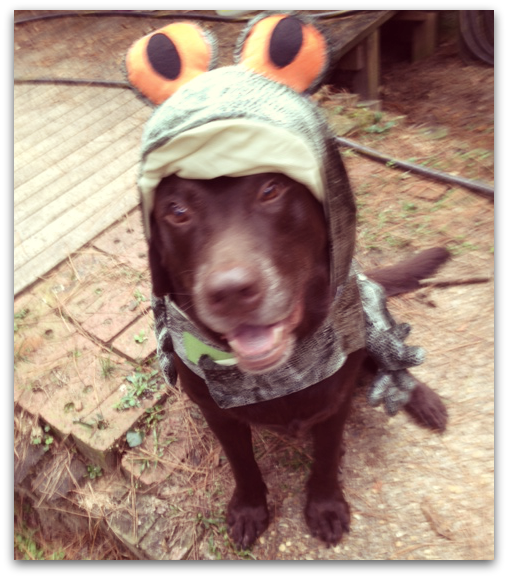 The first time Sara put it on him at home he strutted around like the little Hot Dog he is. She took it off and put it on the end table. Next thing she knew, Vern was chewing on it! 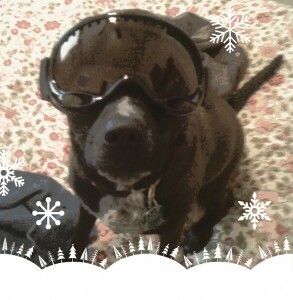 VERN! It’s not a REAL Hot Dog you silly pooch!!!! 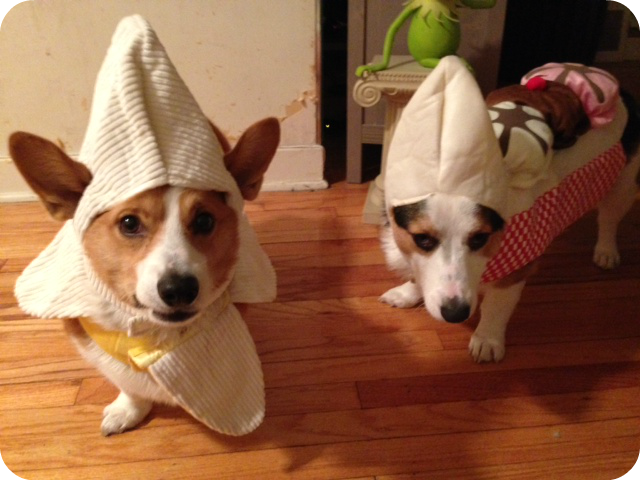 This entry was posted in Chicago Catch, Oak Park Pupdate and tagged Best of, cats, Chicago, dogs, Halloween, Oak Park, pets in costume on October 31, 2013 by Laura Rumage. 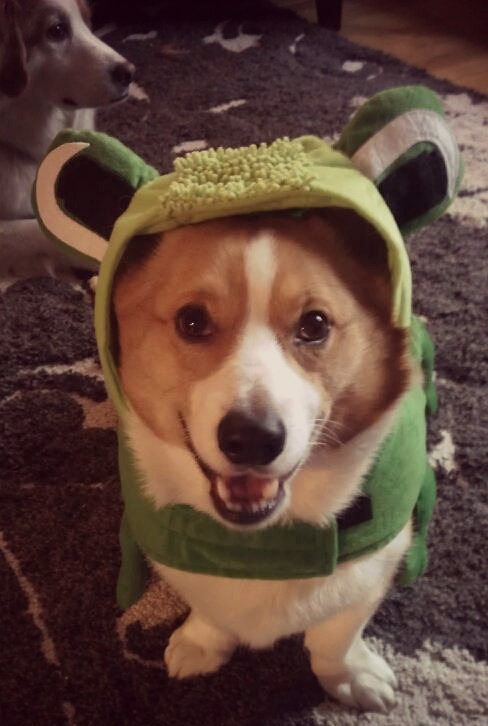 Meet a few of our Downers Grove pet pals who are donning their best dog (and cat!) 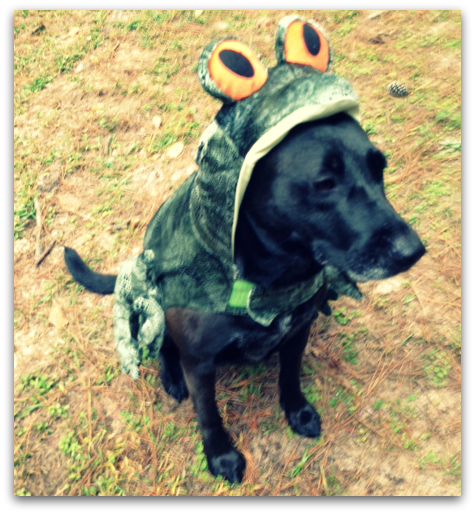 Halloween costumes in the spirit of the spooky! 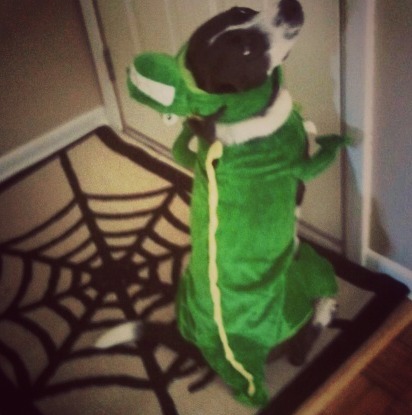 Tucker James: Pet sitter Kendall’s pup was just begging to go out trick-or-treating in his dinosaur costume. 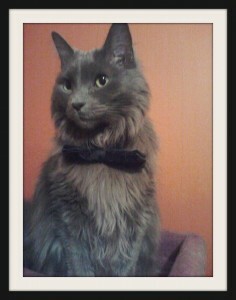 Meander: Pet sitter Jeanine’s cat looks dapper in his box tie. 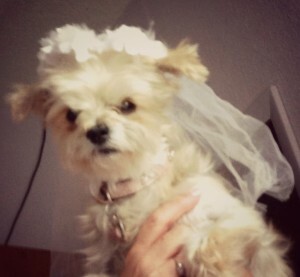 Nikki: Pet sitter Jenny’s little pup as a bride…costume courtesy of Build-A-Bear. 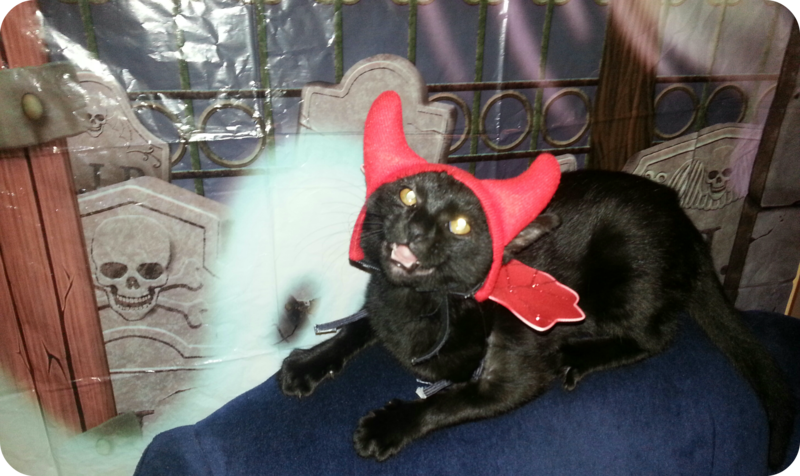 Missey: Pet sitter Delene’s cat is a devil cat hanging out in a cemetery! 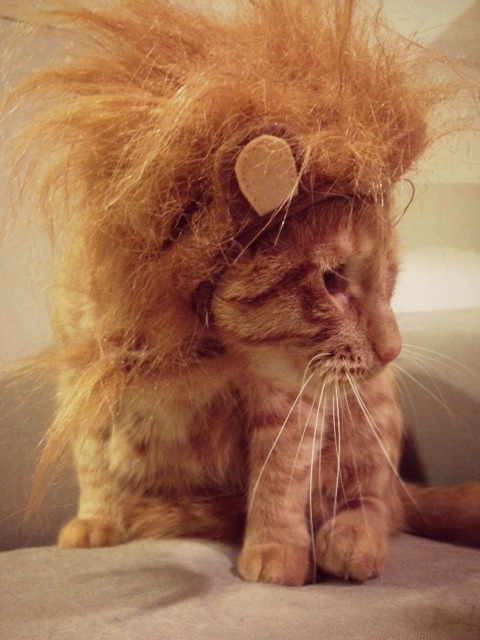 This entry was posted in Downers Grove Diary and tagged Best of, cats, dogs, Downers Grove, Halloween, pets in costume on October 30, 2013 by Laura Rumage.